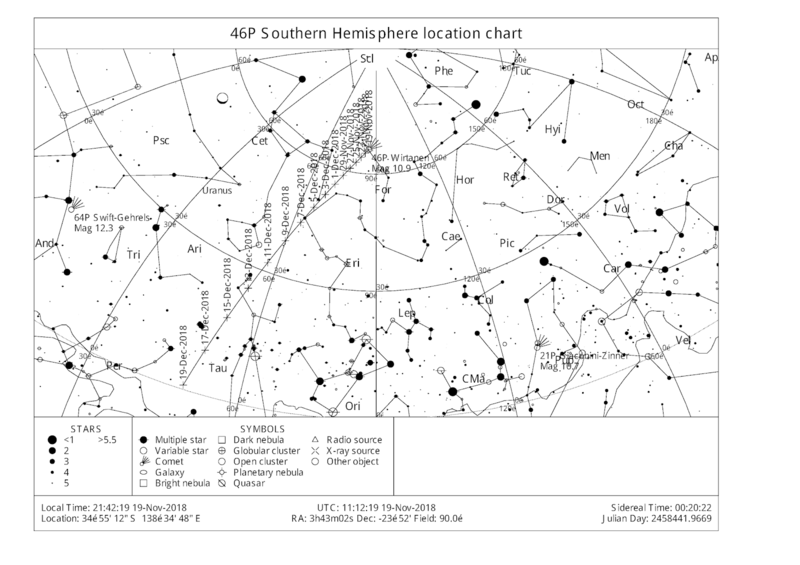 Location of Comet 46 P Wirtanen as seen from Adelaide at 21:42 ACDST on Tuesday the 20th of November (90 minutes after sunset). 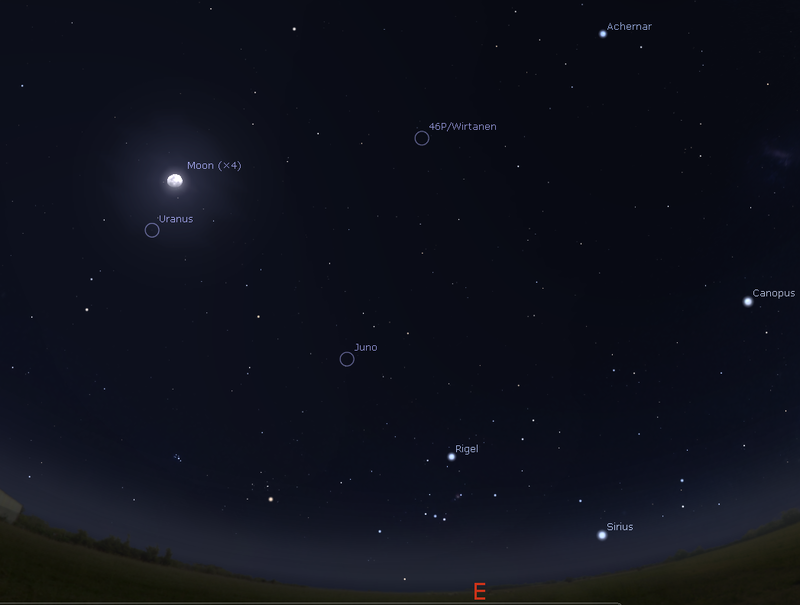 Similar views will be seen throughout Australia at the equivalent local time (90 minutes after sunset). Click to embiggen. The comet will pass at 0.0781 AU (~30 LD) from Earth, on 16 December 2018 making this the brightest close approach for the next 20 years.The comets magnitude might peak as bright as magnitude 3 near its December 16, 2018 closest approach. 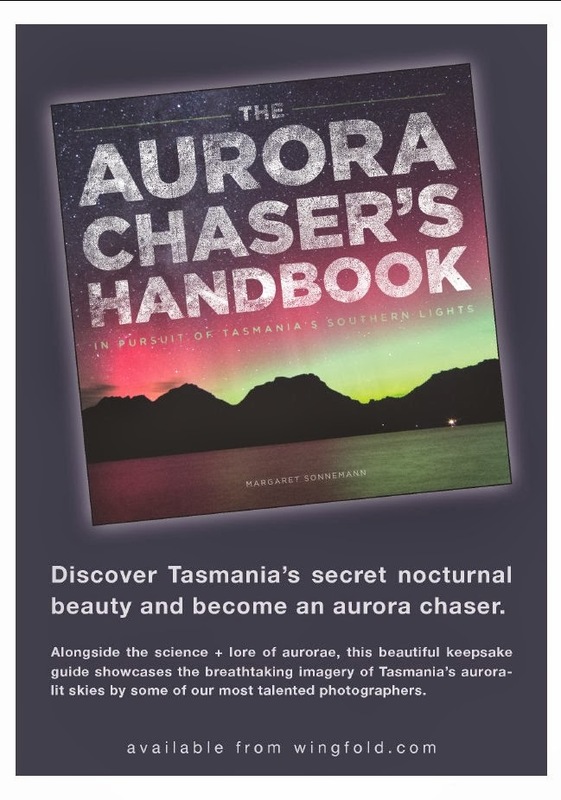 However, although potentially bright, its fussy, diffuse nature means it will be difficult to spot with the unaided eye under suburban conditions. 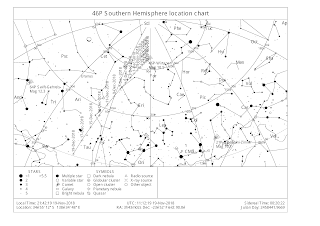 Even under dark sky conditions it will be a faint fuzzy dot. Simulated binocular view as seen from Adelaide at 21:42 ACDST on Tuesday the 20th of November (90 minutes after sunset). 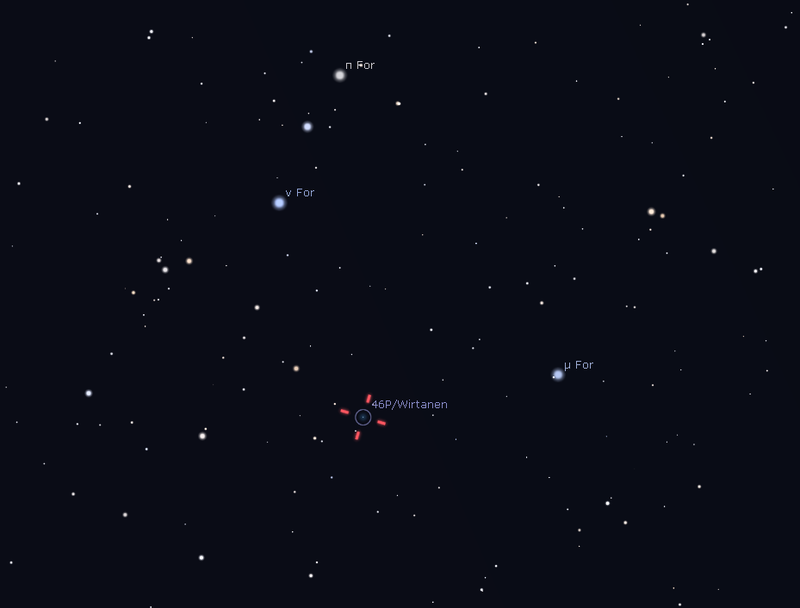 The view is of the area around stars nu (ν) Fornacis and mu (μ) Fornaci (see below). Similar views will be seen throughout Australia at the equivalent local time (90 minutes after sunset). Click to embiggen. The comet is currently around magnitude 6, and a reasonably easy target for binoculars, unfortunately the waxing moon will make it harder to spot for the next week or so. 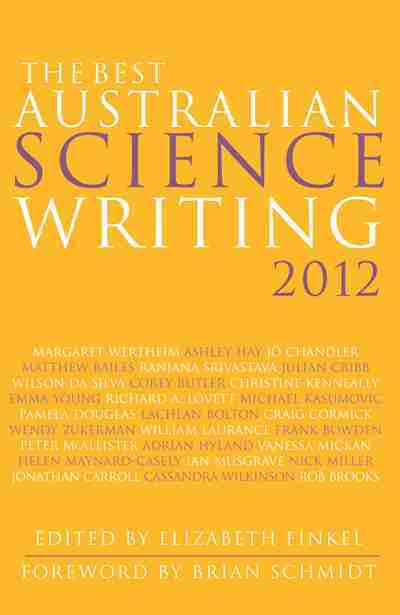 Also unfortunately it is in an area pretty much devoid of useful guide stars. 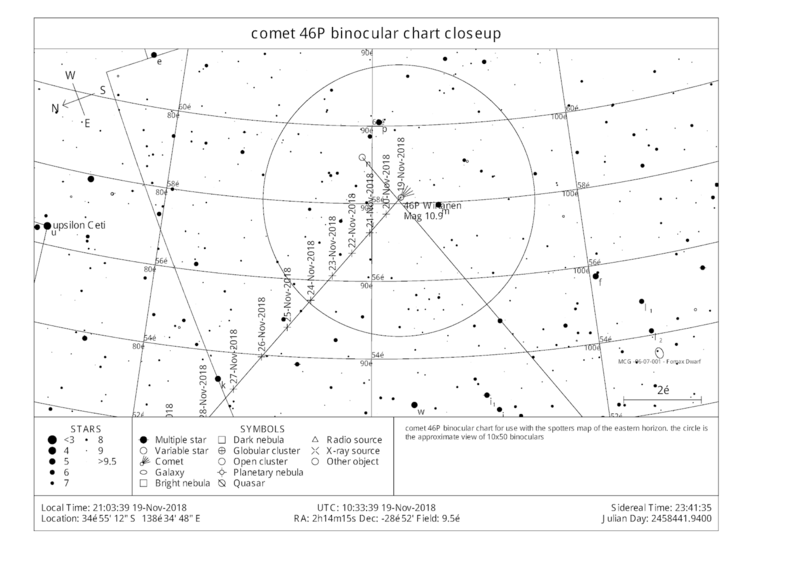 Black and white printable spotters chart for locating comet 46P over the coming month as seen from Adelaide at 21:42 ACDST (90 minutes after sunset, basically a black and white version of the chart at the top). Similar views will be seen throughout Australia at the equivalent local time (90 minutes after sunset). Click to embiggen and print. between the box and the imaginary line between Rigel and Achernar is the comet, not far from upsilon Ceti. 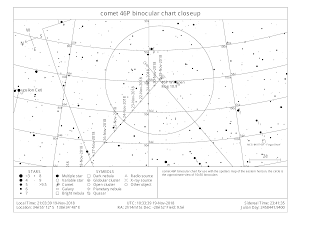 Black and white printable binocular chart for locating comet 46P over the coming month as seen from Adelaide at 21:42 ACDST (90 minutes after sunset, basically a black and white version of the chart at the top). The circle is the approximate field of view of 10x50 binoculars. 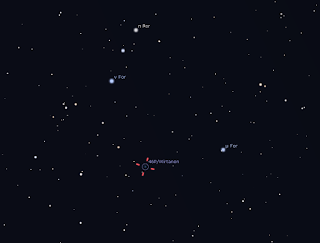 Within a binocular distance of Upsion Ceti are the two dimmer stars nu (ν) Fornacis and mu (μ) Fornaci. The comet will form a shallow triangle with them becoming a steeper triangle over the following days.